Between 1988 and 2009 Leech Fellowships were held for periods of up to five years at Durham and Newcastle universities. In that period four distinguished theologians carried out work which has contributed significantly to the life of the Church, both regionally and nationally. All of them actively engaged with clergy and congregations of all denominations across the north-east and played a leading role in training and in regional charitable trusts. More recently the Trust has decided to use its resources to support a wider range of shorter-term fellowships and projects. Two workshops were held during 2018, in Newcastle and Darlington, on the theme of A House or a Home? – and these are summarised in my report (available here). The 2008 recession and the subsequent need to bear down on public spending have prompted many thinkers and policy makers to talk about the need for ‘community resilience’ – the ability to ‘bounce back’ in times of adversity. Many have critiqued the concept, arguing that it creates an expectation that communities must learn how to survive, without structurally addressing underlying vulnerabilities. In resilience thinking there is often a strong emphasis on economic and financial dimensions, but some models have been extended beyond these, allowing for the significance of family, friendship, neighbourhood networks of support. On an individual level, it is also acknowledged that spirituality and religious beliefs can support resilience. However, there has been little consideration of how churches contribute to wider community resilience in the UK context. The aim of the project is to examine the relationship between churches and community resilience. Do they contribute to it and, if so, how? Develop proposals on how churches and policy makers could think and act in ways which recognise the public significance of the ministry of churches. Charles Pemberton held a research fellowship between 2016-2017. 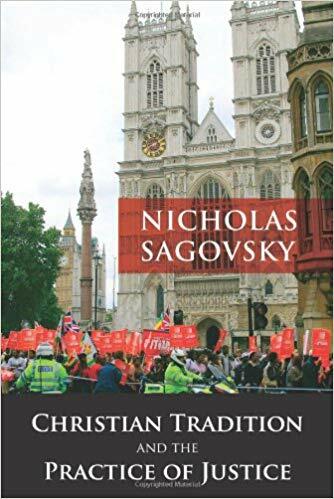 His research is concerned with the return of Christian social service to the centre of British political rhetoric and welfare through the emergence of the foodbank movement has elicited a range of ecclesial responses. These church policy documents, from Hungry for More to Walking the Breadline, give preliminary rationales lodged in theological anthropology, Christian ontology and ecclesiological praxis for the defence and supersession of contemporary foodbank practices. However, in their urgency and brevity these church responses fail to systematically integrate political theory and social analysis, nor do they undertake a sustained integration of the recent gains in political theology with the realities of our current ‘mixed economy of welfare’. The Foodbanks and Theology project addressed this current impasse by developing new resources for the North-East’s foodbank network in the form of an advanced volunteer training program, by holding a national conference in the North-East on religious identity and food aid (https://hopeandhunger2017.weebly.com/information.html), and by collecting ethnographic data in the North-East which will be used in a forthcoming monograph. Working with County Durham Foodbanks (a subsidiary of Durham Christian Partnership and affiliate of the Trussell Trust, https://durham.foodbank.org.uk/) between April 2016 and September 2017, this project drew on interviews with foodbank users and volunteers to defend and advance a Christian social vision beyond emergency food provision. In the interviews conducted with those using foodbanks across the North-East it was found that those accessing foodbank services not only face insecure working environments and starvation level benefits, they also disproportionately suffer from mental and physical ailments and social isolation. Politically and theologically the questions posed by British foodbanks include not only the just distribution or redistribution of resources but also the prevalence of loneliness in British society and the contemporary marginalisation of disabled people. A forthcoming journal article will isolate these social trends, analyse their political ramifications and read them in the light of contemporary ‘radical orthodox’ political theology and the historic resources of the Liberation Theology tradition (‘Between Ecclesiology and Ontology: A Response to Chris Allen on British Food Banks‘, in Political Theology). Recent works on human relationality by Christian theologians and the growing body of literature that sets itself to articulate a distinctive Christian theology of food will be applied to our contemporary social fragmentation in a monograph length text. David Barclay and Andrew Orton held a research fellowship from January 2015 – December 2016. Andrew is an Associate Professor in the Department of Sociology at Durham University (https://www.dur.ac.uk/sociology/staff/profile/?id=3292), and David is now a Partner in the Good Faith Partnership (https://www.goodfaith.org.uk), having been working with the Centre for Theology and Community during the research. Their research focused on theological understandings of everyday responses to money issues facing people in local church congregations in the North East (and some comparators in London), and those that they work with through their wider social engagement. The research widely engaged with local participants to support their reflection on these issues, and consider what action they might take in relation to them, as reflected in the final report which is available here. The research also resulted in a production of a shared guide for churches on the different forms of action that they can take, and the support available from national organisations to do this; this resource is available at http://dro.dur.ac.uk/20529/1/20529.pdf. David Goodhew held a Leech Fellowship between 2014 and 2015, researching new churches in the North East of England, with particular reference to black and minority ethnic Christians. This research was published in the form of the report, New Churches in the North East, which is available online, here. Using a strict definition of what counts as a ‘new church’, the research found that 125 new congregations were founded in the North East region between 1980 and 2015, whose combined usual Sunday attendance is 12,000 people. In two thirds of these new churches a significant proportion of worshippers come from black or minority ethnic communities. There has been considerable church decline in the North East in recent decades, but significant church growth is happening as well. 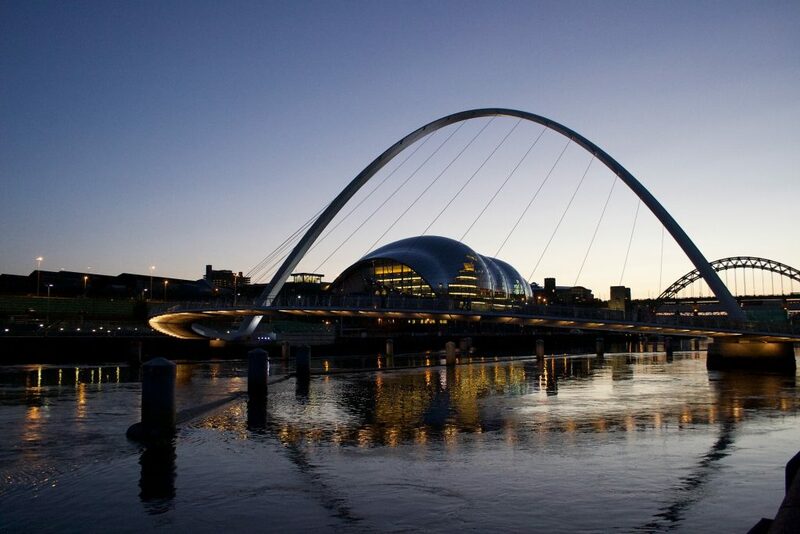 The research shows that current thinking on secularisation tends to overstate decline and gives insights into how wider society and the Christian church in the North East have changed markedly in the recent decades. The report was the focus of a conference at St Johns College, Durham late in 2015 and its findings have been presented to a range of meetings of lay and ordained church leaders in the region. David Goodhew is Director of Ministerial Practice at Cranmer Hall, part of St Johns College, Durham University where he also oversees the Centre for Church Growth Research. The Centre’s recent publications include Growth and Decline in the Anglican Communion, 1980 to the Present, (Routledge 2017) and The Desecularisation of the City: London’s Churches, 1980 to the Present, which will be published by Routledge in 2018. Dr Robin Greenwood held a Fellowship between 2013 and 2015, working on the theme of ‘Blessing and Conversation as Leading Themes in Renewing the Local Church’. The primary object of his research was to walk as “companion” with several local churches (ecumenically) primarily in the North East of England – though others (ecumenically) further afield joined in – to experiment with approaches to building confidence and capacity for being Church in transitional and challenging times. It was intended as an antidote to churches living with failure, nostalgia and pathos as a negative response to lost certainties and assumptions. His approach centred on researching with rather than on churches, engaging churches in a participatory action research project that did not propose a blueprint for what churches should be and did not assume traditional models of ‘strong leadership’, but trusted that people participate in the life of God. What emerged was the value not just of constant organizational change, but the more holistic and less clearly tangible values of living from blessing, companionship, journeying and conversation-based transformation. A more detailed report is available here. 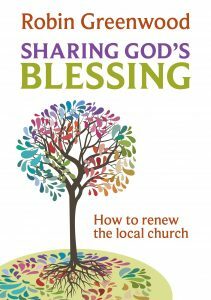 The full results of the research were published by SPCK in 2016 as Sharing God’s Blessing: How to Renew the Local Church. In 2012-13 the Fellowship was held by Dr Jamie Harrison. Jamie is a GP in Durham and formerly Deputy Director of the Postgraduate School of Primary Care, NHS Northern Deanery. He is married to Anne and they have three grown up children. He was previously a GP Advisor to the Department of Health and has been a Lay Member of the Church of England’s General Synod since 1995. The research is concerned with exploring perceptions of healing amongst church ministers in the North East. In conjunction with his research assistant Dr Rich Bregazzi, a series of in-depth interviews has taken place, involving a variety of clergy from across the denominations. In addition, Jamie has undertaken structured conversations with a number of senior church leaders and theologians. The aim is to explore how the ministry of healing is perceived within certain church traditions and to discuss with leaders how they see healing manifest and managed – to include matters of training, governance and instrumentality. Jamie is keen to reflect on current practices of healing in the light of New Testament patterns, as well as in relation to modern expressions of health care as seen in the NHS. Since his Fellowship, Jamie has set up the Centre for Healthcare Resourcing, based at St John’s College, Durham University (see www.dur.ac.uk/st-johns.college/healthcareresourcing/). Jamie can be contacted via email at James.Harrison@durham.ac.uk. From 2010-2011 the Research Fellowship was carried out by the Revd Dr Roger Walton. Roger is a Methodist minister and former Director of the Wesley Study Centre, Durham. He is married to Marion and they have two grown up children. Before directing the Wesley Study Centre, he worked for the central offices of the Methodist Church with responsibility for Adult Learning and Training, having served three circuits, in Wolverhampton, Liverpool and St Albans areas. The research was concerned with new patterns of discipleship nurture and support. Roger was particularly interested in groups that sustain and enable the individual discipleship of members. The aim was to explore what was happening across the Christian churches in the North East and to discuss with individuals and groups how they saw their discipleship and what structures helped and strengthened their Christian living, in home, community and employment. Roger heard from individuals, ministers and groups who were intentionally involved in groups seeking to strengthen the living out of Christian faith and the practice of being a follower of Jesus in today’s world. 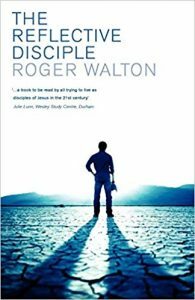 Roger’s book The Reflective Disciple (Epworth Press) was published in 2009 and the investigation builds on this earlier work. The research was carried out through Durham University and Roger was based in the Department of Theology and Religion. Roger was President of the Methodist Conference in 2016-17. Professor Philip Sheldrake held the Leech chair from 2003-2008, based in the Department of Theology and Religion at Durham University. As part of his work he collaborated throughout with the Diocese of Newcastle’s Urban Theology Project in Byker, East Newcastle, and also with the Centre for the Study of Cities & Regions of the Dept of Geography, the Institute of Advanced Study and St Chad’s College in organizing the 2007 international colloquium on “Faith & Spirituality in the Postsecular City”. He describes his work as “focusing specially on the public dimensions of spirituality, and on spirituality in relation to cities, combining historical, theological and urban studies perspectives”. Philip’s Leech research contributed to some aspects of his book Explorations in Spirituality: History, Theology & Social Practice (Paulist Press, New York, 2010). However, the main book arising from the Leech Fellowship is A Spiritual City: Theology, Spirituality & The Urban. This was published by Wiley-Blackwell in April, 2014 and received very favourable reviews. 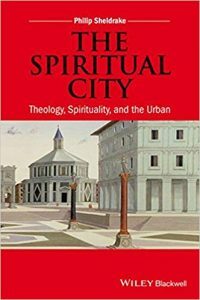 After an introduction on why the meaning and future of cities is critically important, and on what the Christian tradition can contribute, the first part examines important examples of urban thought and practice in Christian tradition. The second part reflects on critical themes from a theological-spirituality perspective: Place & Identity; Community; Reconciliation & Hospitality and Urban Values. Philip is currently Senior Research Fellow in the Cambridge Theological Federation, and Senior Research Associate of the Von Hugel Institute at St Edmund’s College, which specialises in the Catholic intellectual tradition and Catholic social thought. He is also part-time Professor of Christian Spirituality at the graduate Oblate School of Theology, San Antonio TX, and a Research Fellow in the multidisciplinary Global Cities Initiative at Georgetown University, Washington DC. Peter was Bishop of Worcester between 1997 and 2007. 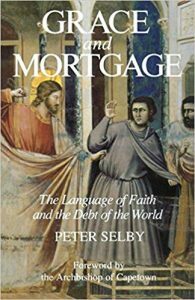 His work on debt and credit appeared as Grace and Mortgage: Language of Faith and Debt of the World (1997, re-issued in 2007) – a work which was influential in the Jubilee 2000 campaign which drew attention to the crisis of unrepayable debt facing the poorest nations. He is an Honorary Professor of Worcester University and an Honorary Visiting Professor in Religious Studies at King’s College London. Professor Robin Gill was the first Fellow (1988-1992). He writes: ‘During the four years I held the Fellowship I did extensive research on why local churches, first in the North East and then around the whole country, flourish or decline. 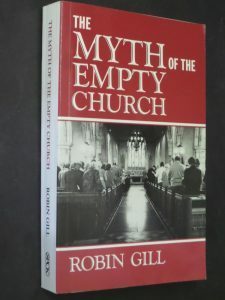 This led to the publication of The Myth of the Empty Church (SPCK 1993), subsequently revised as The ‘Empty’ Church Revisited (Ashgate 2003). Both of these books have had a significant impact upon the Church of England’s (and that of other denominations) current mission strategy.’ As well as establishing an M.A. at Newcastle, which usefully trained local clergy of all denominations, he also developed a strong interest in medical ethics, chairing the North East Medical Ethics Group (first established by Archbishop John Habgood), and reporting some its findings in Christian Ethics in Secular Worlds (T&T Clark 1991). This interest led directly to his chairmanship (1993-2006) of the Archbishop of Canterbury’s Medical Ethics Advisory Group and his long-standing membership of the BMA Medical Ethics Committee. After his Leech Fellowship Robin became the first Michael Ramsey Professor of Modern Theology in the University of Kent.